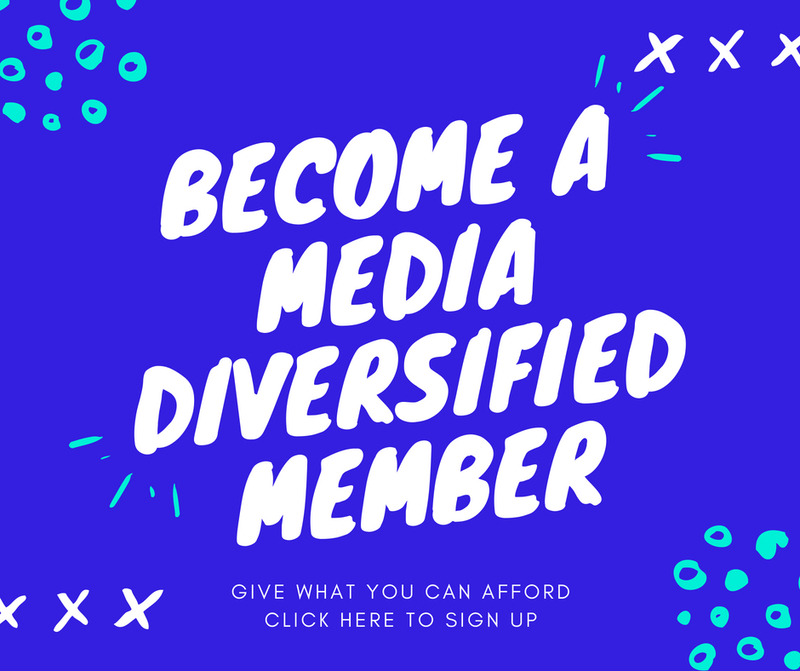 Become a member of Media Diversified! As Media Diversified expands, we’re calling on our readers to support us in continuing to deliver challenging and disruptive content. One easy way to do this is by becoming a member of Media Diversified. You can also purchase a yearly MD membership with all of the above benefits for the discounted price of £100 per year. Yearly premium MD memberships are available for the discounted price of £210 per year. All memberships can be set up quickly and securely via Go Cardless (used by hundreds of charities and non-profits) or PayPal. For more details, see our Memberships and Subscriptions page.